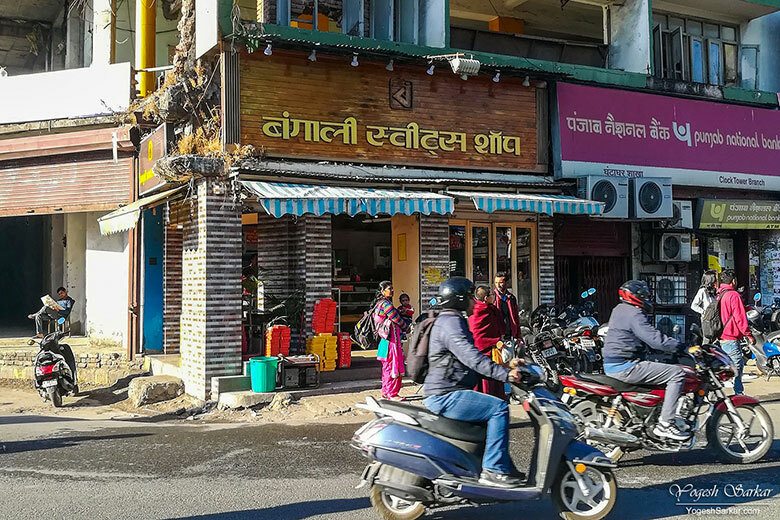 Bengali Sweets Shop in Dehradun, Neha’s favorite sweet shop and one which supposedly has the best rasgullas. So much so, every time a family member or friend of hers is coming from Dehradun, she asks them to bring her rasgullas :D.
So during my brief stay in Dehradun, one of the items on my checklist was to eat the famous rasgullas of Bengali Sweets Shop. Fortunately though, I neither had to walk a lot nor search for it. Since it had a small outlet at the Clock Tower Square itself! Though from the outside it didn’t look much and there were no rasgulas on display when I went inside. Compared to most sweets shops, it was quiet and had rasgullas in a container just behind the display shelf. Even though Neha had been telling me just good these were, I was a little apprehensive and plus I wanted to have my dessert after the good lunch at Lakshmi Restaurant. So I decided to order a couple of rasgullas for myself, before making a decision on whether or not to get them packed for home. I don’t want to use the word perfect to describe them since it is next to impossible to make a perfect rasgulla. However, their sweetness was perfect. Though for some they might a little too sweet. The sponginess was really good and at the same time, they didn’t seem airy or light the way most spongy rasgulla taste like. Since most sweets shop owners, in a bid to make them appear spongy, take away the texture and make it really light, like in the case of Haldiram outlets. 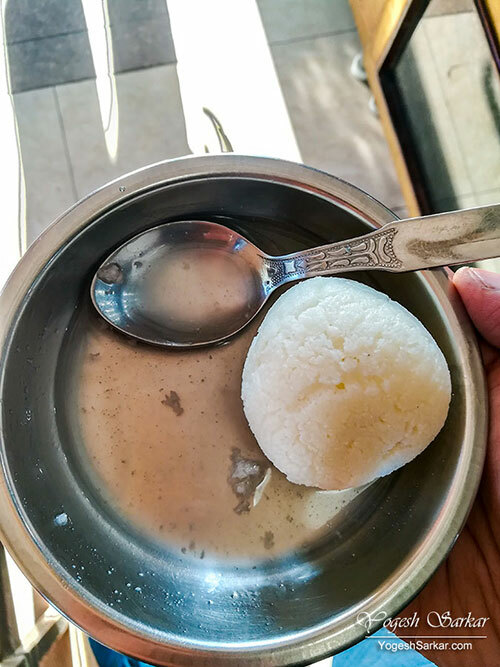 In fact, I haven’t eaten a rasgulla like this in years and at Rs. 20 per piece, they weren’t all that expensive either. I got a few packed for my home and my mom and sis echoed similar sentiments about them. So overall, it seems Neha was right and the Bengali Sweets Shop makes really good rasgulla and these have tempted me enough to try their other sweets on future visits to Dehradun.